bari bari Munich – Accessoires in a symbiosis of Orient and Occident - German craftsmanship and exclusive quality make the bari bari bags and accessories true collector's items, perfect for sophisticated fashion individualists. The source of inspiration for the brand is the timeless Bauhaus design with its demand for style and longevity. 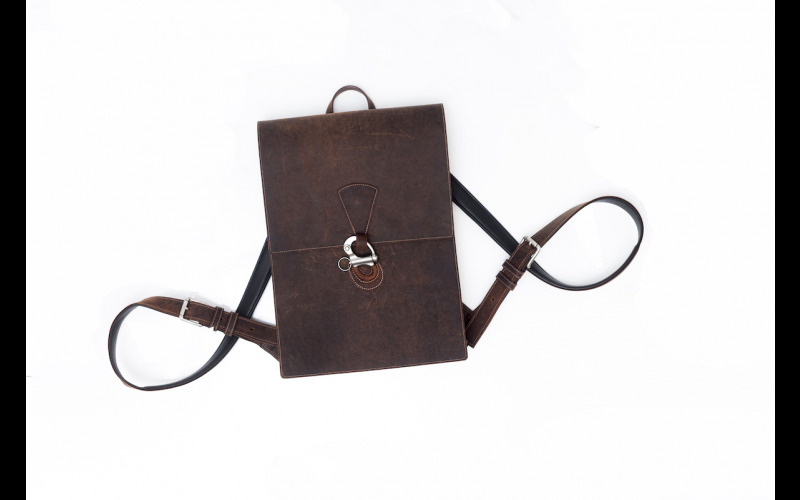 The products are made of luxurious camel leather. bari bari Munich was founded with the aim of creating fashion on the basis of a minimalist design concept aligned with Bauhaus, an elegant, timeless style and a sense of responsibility towards society and the environment. It would, as a synthesis of art and craftsmanship, stand out, not only because of its attractive appearance but also thanks to the quality of the materials used as well as the functionality of the design. In many Arab cultures, the camel enjoys a high reputation and symbolizes endurance, calmness and peace. Bari Ahmad, a German native with Pakistani roots and literature scientist, chose fine camel leather with its unique patina effect for its materiality. The design corresponds to the functional strut of the Bauhaus era. With a complementary classical poem to each bag, the designer reminisces about her former studies in literature. The result is timeless, durable and equally poetic. Enter this competition to win a bari bari Munich backpack.